This is a fantastic opportunity for young theatre makers to apply for a grant to make their first piece of theatre. Aged 18-25? Passionate about creating theatre? You can apply for a grant from between £500-£1000 to work on your own idea! 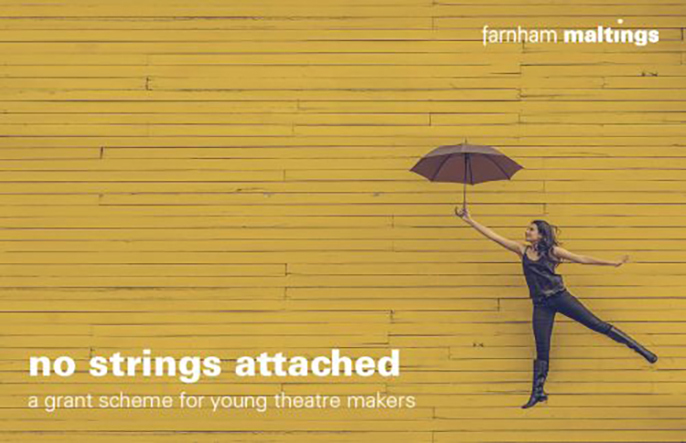 If your project is suitable will be invited to present your idea to a panel of arts professionals and young people on 25th October 2017 in Farnham. Please note places are allocated on a first come, first served basis. Info: The deadline for registering your interest is 18 October 2017.